Love art and movie making? This camp is for you! 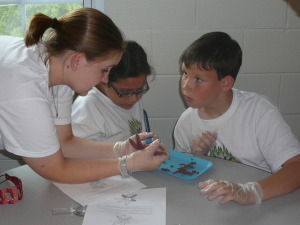 Campers will use computers and technology to bring their creations to life. 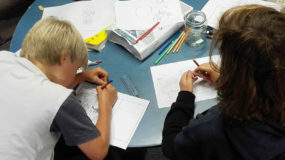 They will start by learning about the process of bringing an idea to life through story boards and the actually begin creating their characters out of clay. Once they have their clay characters done, they’ll use the ZU3D program to make a stop motion animation video. But it doesn’t end there! Using special tablets, campers add their drawings and art to their movies. At the end of the week, they’ll have their very own movies! For campers who enjoyed our Stop Motion camp, this is a great choice!